Before I begin, I want to come clean that I am fully cognizant of the fact that my last three blogs – four if you count this one – are about birthdays, anniversaries and death, which is not what I intended and should not be mistaken as my blog theme. And so I promise to try to get back to other important matters like “The Bachelorette” (not watching this next one, I swear to God), the joys of spray fake butter and maybe even the NCAA Championships, men and women. But in the meantime, I feel the need to pause and tell you about my mom today. My mother Francine was sentimental and emotional and possessed many of the qualities that make a person a warm and loving human being. But about age, she was pretty clear. 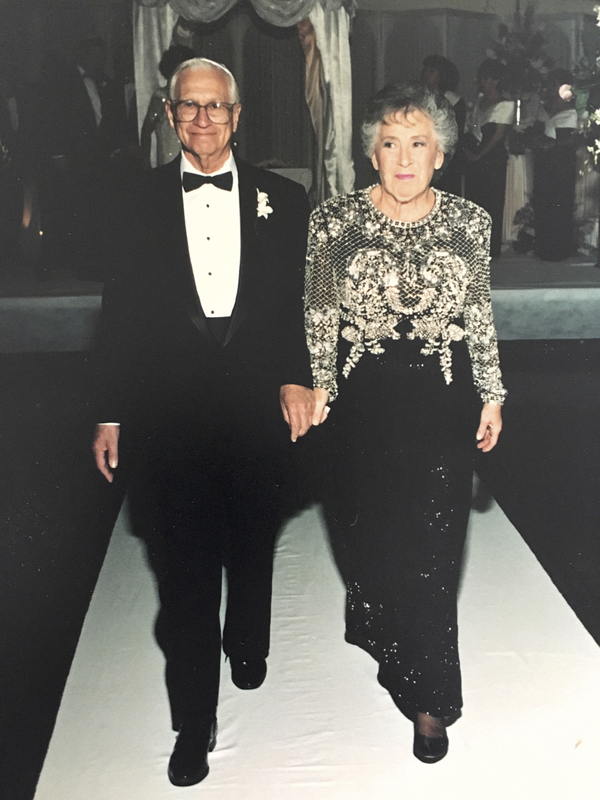 Today, April 8, would have been her 93rd birthday if she had not passed away 12 years ago and that statement alone, not to mention the idea of wishing her a “Happy Birthday” in my blog or on Facebook, would have made her laugh and then promptly make fun of me. She would not have loved the idea of 93 unless she was active and clear-minded and sadly, she had not fit that description for a very long time. My dad Herb, on the other hand, would have been very happy living to 110 and in whatever state was necessary to have him still be alive, because, well, he was very clear as well. Life, good. Death, bad. “George Burns (or fill in any very old celebrity) died,” my mother would announce. “It was the Depression,” she’d shrug. Our mother inherited her humor from her father Morris, who despite the fact that he was a house painter, was somehow able to leverage enough money in the 1920s to own a small apartment building. When the Depression hit, however, things quickly went south and my mother would tell the story of one deadbeat tenant leaving the building for another across the street. Morris had the humor gene. So did our mom. And so today, on what is most certainly not her 93rd birthday but rather a day, like so many others, in which I choose to think of her and laugh, I am pretty certain she is laughing as well. I was probably about 15, so smart and so smug. 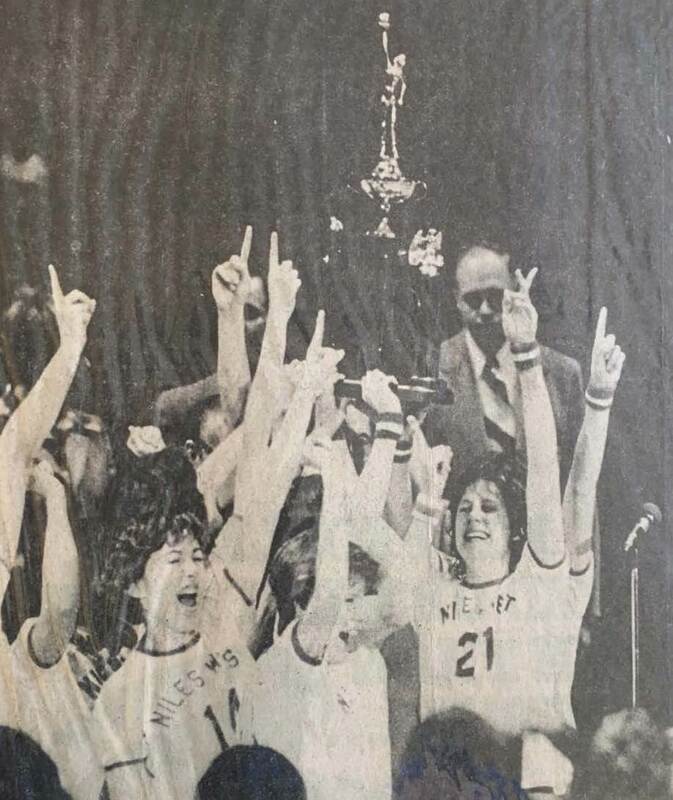 I am recalling that conversation because 40 years ago today, my Niles West High School teammates and I won the Illinois state girls’ basketball championship. That’s 40 — or FORTY!!! — because it feels like it needs all CAPS and multiple exclamation marks. But I won’t say that we’re old or that time has passed too quickly, even though it has. I won’t even say, as my father often did, that I don’t know where the time has gone, because I do. It has gone to college and marriage and childbirths and Little League games and concerts and plays and graduations and career and travel and heartache and happiness and everyday stuff. Bad TV and those first years of kid-pitch in early March alone took up about 20 years. I do not feel as if it was just yesterday that we hoisted that trophy in Champaign’s Assembly Hall because we were teenagers and my parents were in the stands and I weighed around 98 pounds, and none of that feels like yesterday at all. I had a voice in those interviews that sounded like a gerbil and though I still tend to be self-conscious on camera and I do a funny thing with my mouth sometimes, I believe I come off a bit more sophisticated now. Because I have spent a good dozen years, off and on, writing a book about our experience, I’ll admit I am considerably closer to those days than my friends and former teammates are. So while they may have also had squeaky voices and came across as painfully self-conscious on camera, they don’t generally have to re-live it unless I am on the phone, demanding that they do. So what’s the point, you’re surely asking? I guess it’s that unlike my father, I am choosing not to be sad or spooked or weirded out by this milestone. Unless I have some wiseass kid standing in front of me, horrified that I can even recall something that happened 40 years ago, I am instead embracing it. Today, of all days, on an anniversary that should be celebrated, and in a year in which I am trying to get others to share this remarkable experience with me, I am loving it. The photos in which I look like a 10-year-old boy. The memories of being so immature and at times thoughtless, it makes me wince. The knowledge that I should have had more fun in high school, maybe not been so afraid of boys and while I was having fun and flirting, maybe done some homework once in a while. All of that is going to have to be OK.
And it is going to have to be 40 years ago. Because that’s what it was. And because the 70s were a big deal to have lived through. We were a part of history, that basketball team. Our high school was great and our teachers and classmates supportive, coming together and getting behind us in a way I wish there was more of today. We were silly and childish. And we were strong and resilient. I can close my eyes and still remember much of it but I don’t have to relive it to appreciate it. And I don’t have to be horrified by the passage of time. Today, I am just going to let it be what it was. And wish everyone who was there with me, a Happy 40th!!! My baby is 21 years old today. Excuse me while I let that sink in for a second. Alec is old enough to be considered an adult in every way except the rental car place. He can gamble in most states. Apply for a marriage license in Mississippi without parental consent. Adopt a child in the UK. Legally buy an ounce of marijuana in Colorado. Oh, and today he can finally drink alcohol. I have to remember to tell him. More importantly, I am old enough to be the mother of now two grown-ups. Of course, the “r” in Mrs. Singer was pronounced like a “w,” so it was extra cute, which is always part of the oral recitation of the story. 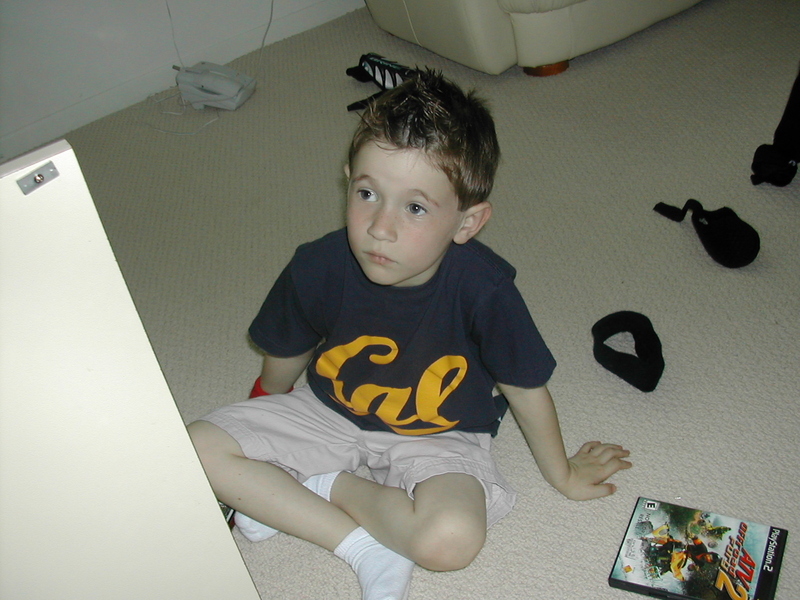 The concept of this little boy now planning his life as an adult is staggering. But for anyone who has ever had a 21-year-old, it includes the knowledge that “adult” is a relative term, and that our interference/rights as parents will still occasionally be employed and maybe, if we’re lucky, even requested. This is strange territory and in no way do I profess to have a single shred of insight, despite the presence of Amanda, who will be 24 this summer. While we do not want our kids to be living in our basements at 30, I am not afraid to say that the possibility of one or both living out-of-state one day makes me weepy, and makes my husband actually weep. And so I pause on this occasion and can only hope what most parents do, that we did our jobs. That this boy who is now allowed to get married on his own in Mississippi, is prepared to take his place as a good citizen and one day, if he so chooses, as a great husband and a stupendous parent. What I know is that there are some things where we just got lucky. We could not have dreamt that Alec would be as smart and passionate and kind as he is. Or that following his lead would work for us nearly without exception. If it is now time to let go in some symbolic way, I am not ready. But I am proud. And filled with as much love as I was after Rick took a shower and drove too slowly to the hospital. He answered his own phone, which threw me when I realized it was really him. But there was little pretense about Birch Bayh, who died today at 91. I had called to interview him for my book. It was 2005 and the U.S. Senator from Indiana and one-time Democratic nominee for President had no warning that I would call, no staff to hold me off or even make an appointment. He was 77 years old and he said he would be happy to speak to me. I wanted to know how he became the author of Title IX, which became law in 1972. I knew he wanted to give women equal opportunities in public education. What I did not know was the inspiration two women, in particular, had in his life and on his belief system. He told me that he was 12 when he went to live on his grandparents' farm northwest of Terre Haute, Indiana, after his mother Leah died and his father went to China with the Army Air Force just before World War II. His maternal grandmother Kate Hollingsworth had been a school marm and he said one of the biggest influences in his life was observing her. "It never entered my mind that women aren't as important as men because I could see my grandmother working long after my granddad was on the front porch, smoking his pipe," Bayh said. "I don't think Granddad made a single decision of consequence that Kate didn't have a voice in it. But what I didn't know was that my grandmother could not have inherited that farm. Once I got a little older and understood what was going on, I insisted they re-write their will and put it under joint ownership. But at the time, all those things were going on that I was not aware of." 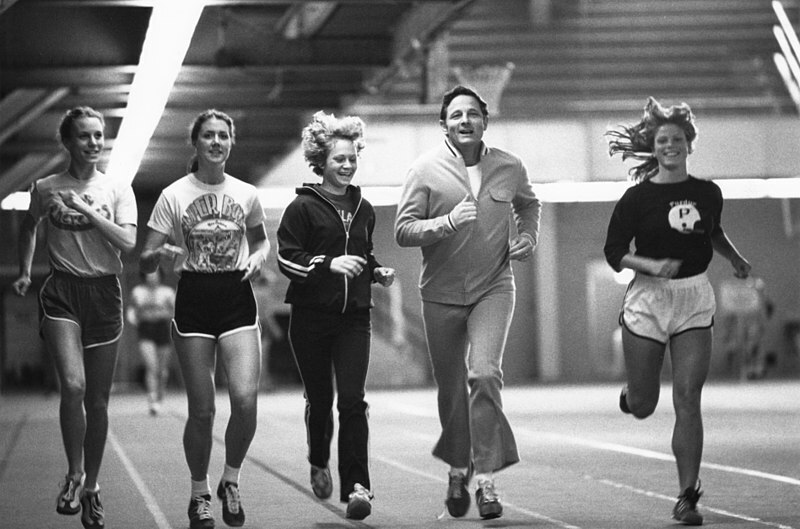 As a boy, Bayh's father Birch Sr., coached four sports at Indiana State and was also the director of physical education for the Washington D.C. public school system. “It had to be subliminal, but I do remember that." Marvella was a straight-A student in high school, the first girl to be elected class president and later a national speech champion, defeating her future husband in the competition. But in 1951, she was denied admission to the University of Virginia, where it would be nearly 20 years before state law allowed women in. Eventually, she graduated from college and after a near fatal car accident that had her in a coma for almost a month, she completed law school as well, graduating on the same day as her husband. When Bayh spoke of his career, he used the pronoun “we,” calling himself and Marvella “a tandem operation” and she would become his key policy adviser. "She wasn't my wife," he said. "We were together as a team, fully equal." Marvella died of cancer in April of 1979, less than a month after our high school girls’ basketball team won a state championship that did not exist just three years earlier. Marvella was not a sports fan. When she went to the World Series with her husband and father-in-law, the Senator told me, she brought along the New York Times to read. "But what she said," he recalled, "is that we can't afford to ignore the development of 53 percent of the brainpower in this country. I had no idea how far that basic idea would take off." I told him that he changed our lives. "The first time Marvella and I ever met, over lunch, we each said we wanted to make a difference with our lives and that a career in government could do that,” he told me. 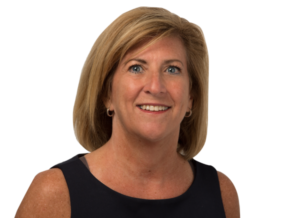 “I think Title IX has done that and I'm proud to have been a part of it." It’s a game I have been playing the last few weeks, sizing up men and women, kids in middle school and up, and trying to figure out if they are potential readers of my book. But Kristina Meece snuck under my radar. It wasn’t that she didn’t appear like she could enjoy a coming-of-age story about a group of kids whose lives were changed through our journey to a state basketball championship. 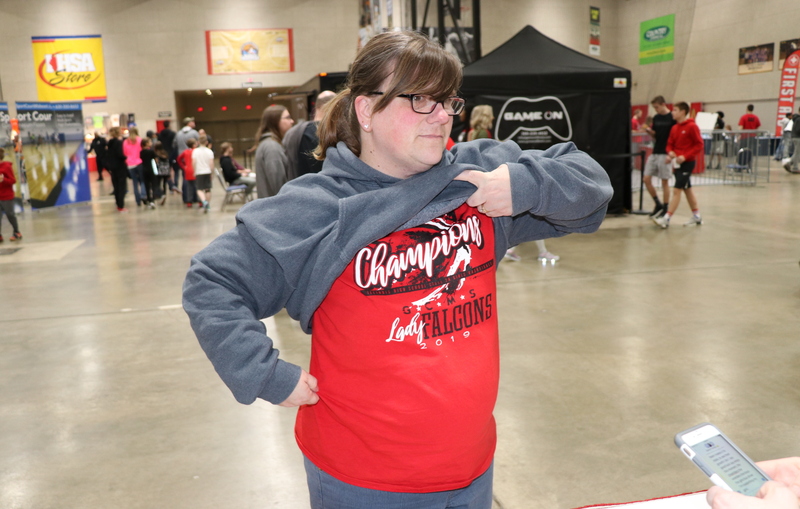 As she approached our table Saturday in the Peoria Convention Center Exhibition Hall in her Gibson City-Melvin Sibley High School hoodie, she looked the part of any spectator mom. But she was certainly not the stereotypical sports parent. She called her son Alex “a fourth-quarter warrior,” one of those kids (like me my senior year, who usually only came in once the game was already decided). And when she started tearing up, it had nothing to do with basketball. She didn’t even identify herself as the parent of a player on the team until I asked. Nope, the role Meece talked about is her job as team bus driver. Actually, the bus driver for several teams at the school of about 340 students, in a town of about 3,400. She stopped to dab her eyes. I wondered what it was that really got her, and then she told me that she had first driven this same group of boys who would later Saturday finish third in the 2A state tournament, as a middle school team. Meece talked about empowering the young women at her school as well, and flashed the GCMS girls’ basketball t-shirt she was wearing under her sweatshirt to show her devotion. It sounded like it would make a great book.